Over the last few years, people have constantly mentioned austerity measures. It is true that the world has been in global recession and, unfortunately, a lot of people have suffered. However, it is still nice to reward loved ones with a precious gift now and then. Certainly a beautifully made luxurious watch is timeless and can be passed down to future generations. 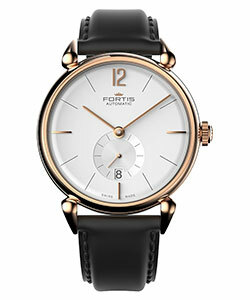 The Orchestra A.M Rosegold from Fortis is a classic looking timepiece that draws inspiration from the 1940’s. This beautiful watch should appeal to both male and female buyers. Dimensionally the timepiece has a luxurious 18-karat rose gold case measuring 40mm. What makes this watch so enticing is the wonderful textured silver dial. This fine detail works in perfect balance with the intricate gold hour/minute hands and raised indexes. Beneath the refined exterior lies a 27-jewel Swiss made ETA 2895-2 self-winding mechanical movement. Louis Moinet’s Astrolabe is a sublime timepiece designed for the connoisseur. The design of the watch is inspired by one of the oldest astronomical instruments. With an opulent 18-karat white gold case (composed of 59 components) measuring 47mm the watch is sure to make a bold statement. What makes this timepiece so extraordinary is the meticulous open worked hand engraved dial. Other features include delicate hour/minute hands and a large aperture (located at 6 o’clock) displaying the rotating tourbillon carriage. At the heart of the watch is a 19-jewel Swiss made mechanical hand-winding movement. 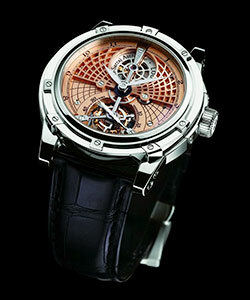 High-end Swiss brand Cabestan is synonymous with creating exceptionally complicated and striking looking timepieces. The Triple Axis Tourbillon is their latest creation and was unveiled at Baselworld 2015. This watch exudes massive proportions and measures 50.25mm x 48.30mm x 22.30mm. What makes this timepiece so special is the 18-karat gold case with sapphire crystal windows. This allows the recipient to view all the mechanical splendour from different angles. Powering the watch is a sophisticated Fusée-and-Chain driven movement containing 1044 individual parts. 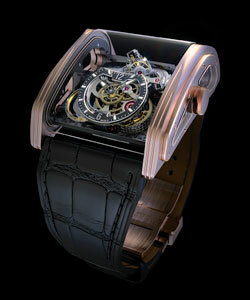 Girard-Perregaux is widely acknowledged by their contemporaries for being a watchmaker of distinction. Recently they were awarded the Striking watch prize (by the Grand Prix d’Horlogerie de Genève) for their phenomenal Minute Repeater Tourbillon With Gold Bridges. This timepiece has a well-proportioned 18-karat pink gold case measuring 45mm x 9.35mm. 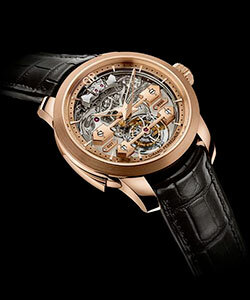 What makes this watch so special is the exquisite skeleton dial with two gold bridges. Other eye-catching details include delicate open worked gold hour/minute hands and a large rotating tourbillon (located at 6 o’clock). Beneath the opulent façade lies an accomplished 39-jewel mechanical hand winding movement.